Alan Jackson to Play Free Show Today at Preds Party on Broadway! 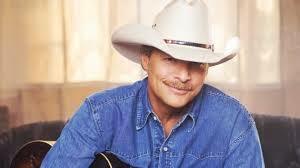 Country music legend, Alan Jackson, will play a free concert today on Lower Broadway before Game 3 of the Stanley Cup Final between the Nashville Predators and Pittsburgh Penguins! The "Broadway Smash: Preds Party with a Purpose," will start at 3:30 PM with Jackson performing at 4:45 PM. The stage will be at Fifth and Broadway facing the Cumberland River and large screens will be places around the event site and on the stage. Folding chairs and small bags (no larger than 12”x12”) will be permitted. Coolers, backpacks and large bags will not be allowed for public safety.